LAST CHANCE: Readers' Award 2010, your nominations please! | What Hi-Fi? LAST CHANCE: Readers' Award 2010, your nominations please! Today's your last chance to nominate your favourite product for our 2010 Readers' Award (nominations close at 6pm on August 11th), so we thought you might like to know which products are the most popular (so far!). 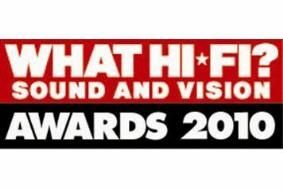 In no particular order, the Top 10 nominations to date are: Sonos S5, Spotify, Onkyo TX-SR608, Logitech Harmony One, Cyrus CD8SE, AVI ADM9.1, Sony PS3, Sony BDP-S370, Cambridge Audio DACMagic and B&W 685. Of course, you don't have to nominate any of the above products. You can choose any product or service you like if you think it's worthy of the Award, which is sponsored this year by Hi-Spek. It's that time of year again when we start planning our annual Awards, and this year – as last – we'll have a category for our Readers' Award, voted for by you. To kick off the process, we need you to nominate the products you think should be on the shortlist. So if you think a particular product deserves one of our much sought after Awards trophies, enter your nomination on this thread on our Forums. Only one nomination per person please. You'll have until August 11th to put forward your choice, then we'll select a shortlist from the most popular items. From August 13th you'll be able to vote for the item you think should win our 2010 Readers' Award on our special Awards website. Voting closes September 10th. All will be revealed in the Awards issue, which goes on sale October 15th. This year's Readers' Award will be sponsored by Hi Spek.